Woven throughout the story of Joseph’s life are dreams and their interpretations, beginning with his dreams that his brothers would bow to him, which prompted them to sell him into slavery. Years later, his freedom and subsequent rise to power was brought about by his skillful interpretation of Pharaoh’s dreams. 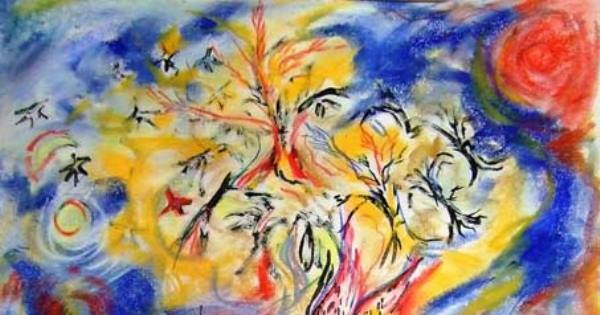 Dream interpretation turned out to be central toDream interpretation was central to Joseph's story Joseph’s story, because, according to the Kabbalists, it represents his spiritual makeup and unique Divine mission. A dream is a state of mind where there is no orderly thinking; a place where opposing forces can co-exist, and one can quickly move between opposite extremes. One moment the dreamer is in grave danger, a moment later he is safe and sound. This world we live in is one of fragmentation. In a single day we experience opposite feelings, highs and lows, the pull to transcend and the opposing gravitational pull of the earth. We experience moments of meaning and mindfulness, as well as moments of distraction, pain, and confusion. Joseph's experience, too, was dream-like. One moment he was a prisoner, an hour later he was the second-in-command leader of Egypt. If life is similar to a dream, then the key to success is to be an interpreter. The Hebrew word for (dream) interpreter is poter (פתר), (which means to solve, as in solving a riddle). The same letters rearranged spell the word tofer (תפר), which means to sew. By realizing that he must serve as the needle, stitching the fragments together to create unity, Joseph was able to solve Pharaoh’s dreams and untangle life’s challenges. To Joseph every experience, both positive and negative, was part of a single tapestry. The negative moments in life, the challenges one faces, are confusing until they are sewn together to reveal the bigger picture. The ability to interpret the dream comes from infusing every moment and experience with meaning. No matter where a person is, he or she is always able to ask: What can I accomplish at this moment? Who can I help? How can I advance the cause of goodness and kindness? Which is precisely what Joseph told Pharaoh. Pharaoh saw only details. He saw fat cows and emaciated cows, plump ears of grain and withered ones. But Joseph saw more. How did he crack the code? Both dreams are one dream: the good years and the bad years are part of a single story.3 What does that mean? Both—times of plenty and times of scarcity—give us the opportunity to bring G‑dliness into the world and to help others. Every soul is like a sewing needle.4 Like theWhat can I accomplish at this moment? needle's point, we possess the ability to penetrate the fabric and sew things together. We have the ability to pierce through the outer shell and discover that all of creation is but an expression of the one G‑d. Just before he passed away, Jacob blessed each of his children. To Joseph he said, Ben Porat Yosef - “A charming son is Joseph.” The word Jacob used for charm and beauty, porat (פרת), uses the same letters as poter (פתר), interpreter, and tofer (תפר), sewing. See Ben Ish Chai, Drasot Miletz. Sicha of 20 Av 5749. Article adapted from Torah Or, Vayeshev, and Toras Chaim, Vayechi. 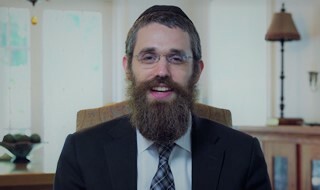 Rabbi Menachem Feldman serves as the director of the Lifelong Learning department at the Chabad Lubavitch Center in Greenwich, Connecticut.